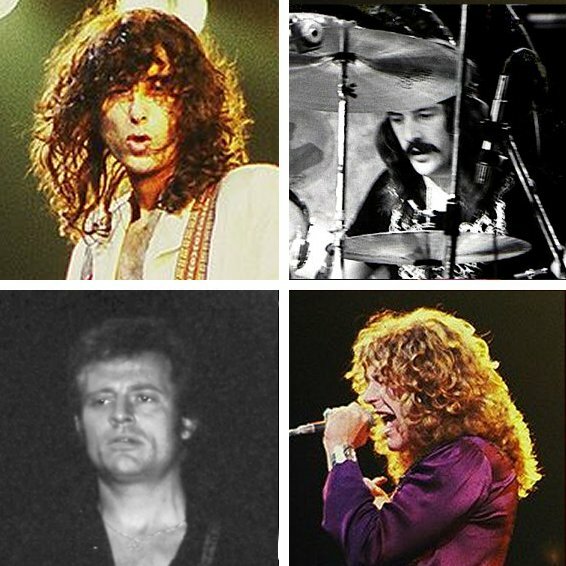 In the late 1970s, the members of Led Zeppelin were plagued by misfortune. Singer Robert Plant was put out of commission by a serious car accident in 1975. When he had almost fully recovered two years later, his 5-year-old son died suddenly of an infection. Just days before little Karac’s death, drummer John Bonham was arrested for assaulting a concert security guard in a drunken rage. While Bonham sank deeper into alcoholism, Jimmy Page was losing his own battle against drugs. The only member of the band who seemed relatively unscathed was bassist/keyboardist John Paul Jones, who avoided the fray living quietly at home with his wife and daughters. As the decade drew to a close, the foursome got together to create what turned out to be their final studio album, “In Through the Out Door.” They embarked on a 14-date European tour to support it and made some serious changes to their stage show so they wouldn’t appear hopelessly dated in the age of Punk Rock. A tour of America was also on the docket. The first thing to go was the high drama and pageantry of lasers, smoke bombs, endless vocal wailing and organ, guitar and drum solos. All the bells and whistles that were the trademark of their 1970s “I am a Golden God!” era. They even cut their hair shorter and dressed less flamboyantly. Everything was stripped down compared to the old days of glitz, swagger, groupies, and sharks. Although things were seemingly calmer on the surface, Jimmy and Bonzo were still drugged-out, alcoholic messes. Bonham especially had a hard time keeping himself in check, as evidenced on June 27, 1980, in Nuremberg, Germany. The band had to halt their show after three songs so Bonham could be rushed to the hospital. The official story was food poisoning; the real story was an alcohol-induced black-out. Still, the tour was packing them in. Great Britain’s Melody Maker magazine said Led Zeppelin displayed a “euphoric attitude” and ”moments of inspired genius” at their Munich gig two weeks later. The final show of the tour in Berlin’s Eissporthalle arena on July 7, 1980 was a sell-out. They closed with a thundering version of “Whole Lotta Love.” It was the last song the original four members of Led Zeppelin would ever play together. On September 25, 1980, 32-year-old John Bonham drank 40 (!) shots of vodka in 12 hours. Later that night he choked on his vomit in his sleep at Jimmy Page’s home and was discovered dead the next morning. The upcoming American tour was obviously scrapped. It’s hard not to wonder what they could have done had Bonzo survived.